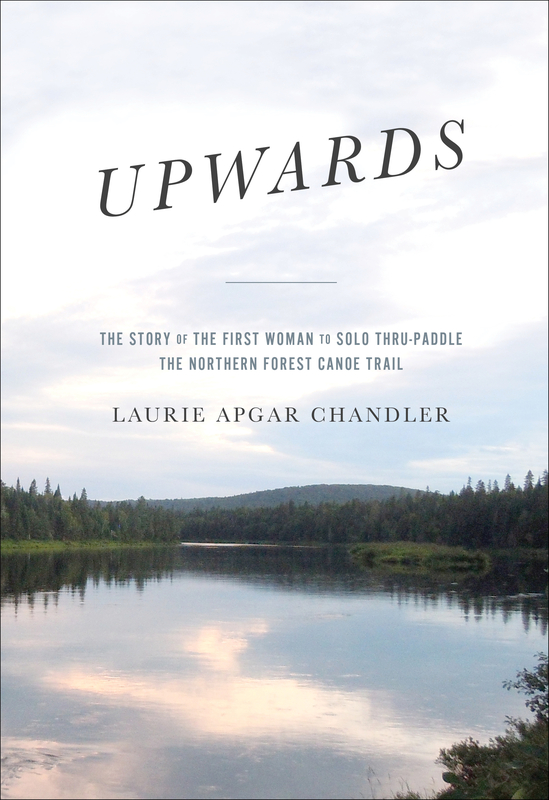 Thank you, Aqua-Bound, maker of fine paddles, for writing about Upwards! Aqua-Bound, who manufactures quality U.S.-made paddles in Osceola, Wisconsin, recently invited me to collaborate on a blog post about my thru-paddle and book. A long paddling expedition is built of many components, both within the paddler and without. When it comes to on-the-water equipment, after the boat, the paddle you choose is key. In my case, it was an Aqua-Bound Sting Ray Carbon kayak paddle that brought me safely through to Fort Kent. 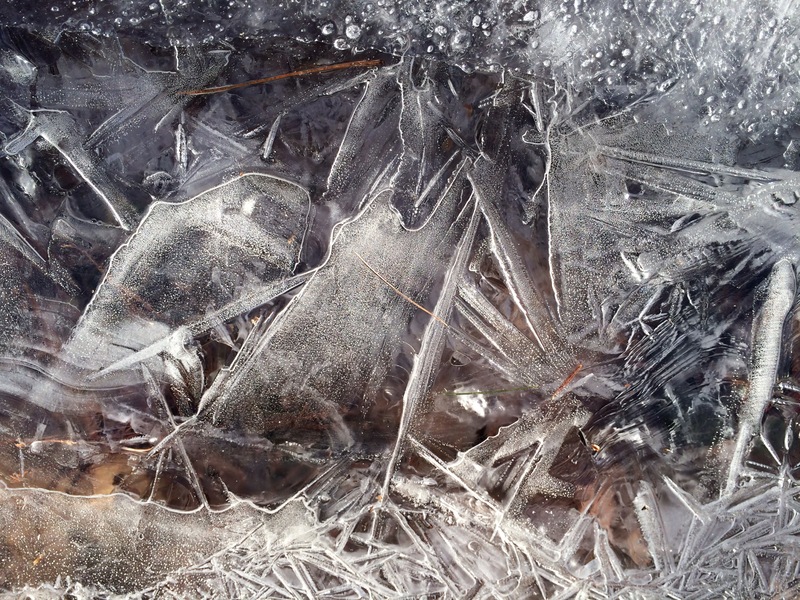 Here is the blog post, published yesterday. 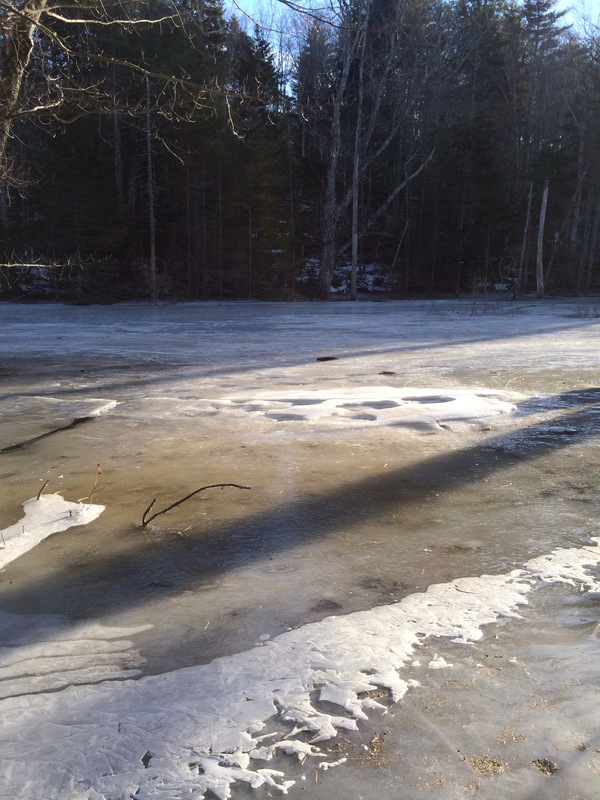 We covered a lot of ground, or should I say water, in 900 or so words! I was especially pleased that we were able to include a quote from Upwards, in response to one of the more introspective interview questions, about paddling solo. 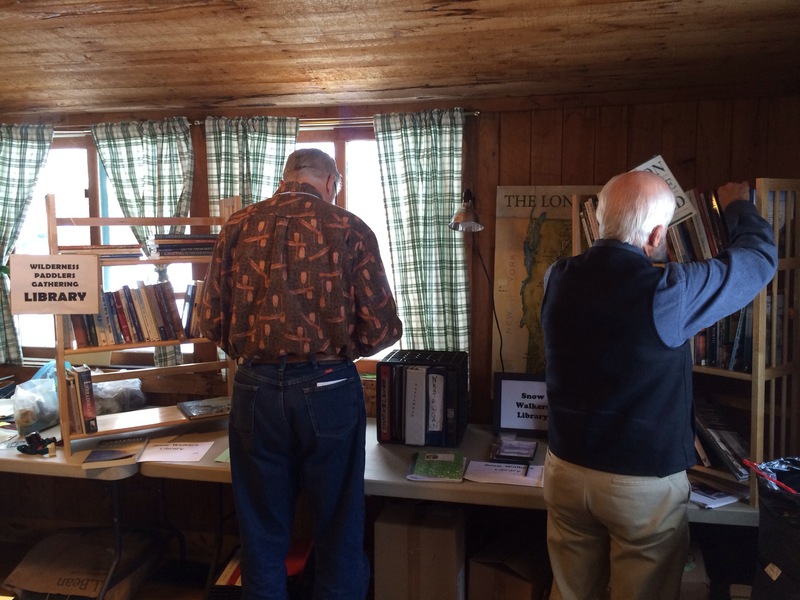 The post also links to two of my favorite websites, the Northern Forest Canoe Trail (with an amazing online auction ending Sunday) and the Pemaquid Watershed Association. Thanks again, Aqua-Bound, for introducing the book to a new community of paddlers! Author lachandler22Posted on November 29, 2017 Categories Gear, General, Paddling, Upwards, WritingTags Aqua-Bound, kayak paddle, NFCT, Northern Forest Canoe Trail, Osceola, Pemaquid Watershed Association, PWA2 Comments on Thank you, Aqua-Bound, maker of fine paddles, for writing about Upwards! Today we will gather to officially celebrate the book launch and continue the encouraging start that Upwards has had. This is a day that I’ve been anticipating for months. It would be natural to be focusing on the refreshments and slideshow and whether we have enough pennies and nickels to make change for $18.94. This morning, though, I want to think of eagles’ wings, not book sales numbers. To remember why I felt such a pull to write and how long I agonized over how much of myself and my faith to share in what is, at heart, an adventure tale. The dawn has been arriving a bit later every day, but when it was light this morning, I walked down to nearby Webber Pond. Thinking about this day, it seemed like the summit of a high peak, for so long hidden by clouds. If not for my hope in God, that peak might still be shrouded in mist. I might never have reached it. Those who hope in the Lord will renew their strength. I had hoped and found the strength I needed – to brave escaped convicts and insane stretches of upstream whitewater. I had learned to be more flexible, to try to forgive myself when things didn’t go according to plan, on the water and with the book. I had believed in a dream enough, just enough, to reach the summit. So thank you, God, for walking (and paddling) with me. The 2017 fall conference of the U.S. Power Squadrons was held this past weekend at New Hampshire’s North Conway Grand Hotel. 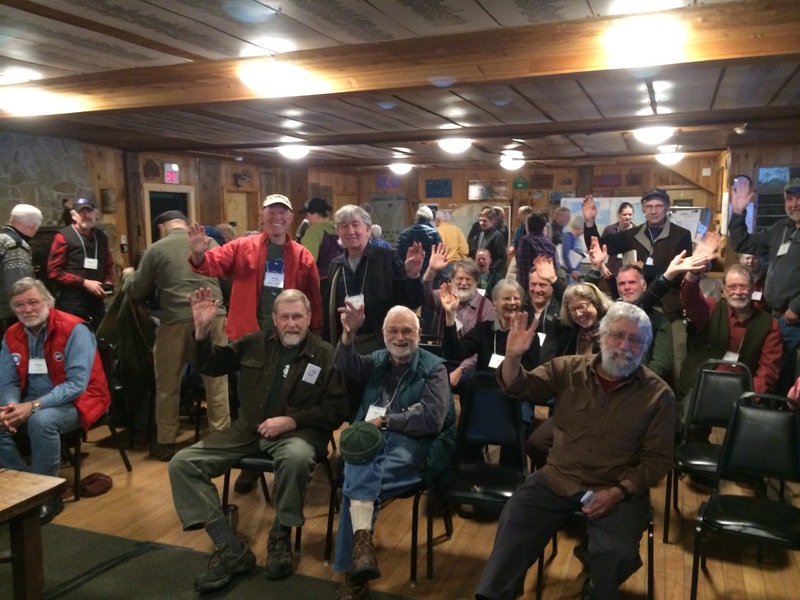 Boaters from Cape Cod and Rhode Island to northern Maine attended my Saturday NFCT presentation. I was grateful that the books had arrived in time and that folks enjoyed my talk. The organizers (one of whom was my father) had asked if I would be willing to bring my boat and gear, which sparked much discussion with the conference participants. I continue to enjoy listening and learning from them and hearing their stories, as much as telling mine. I’ve been working on a slide that better explains the direction of flow for the NFCT’s major rivers. One man added that paddling north on Lake Champlain is actually going downstream, as there is some slight flow or current to the lake. I did not know that. I sense a theme emerging…the book keeps popping up in my photos! Seriously, it was a lovely ride through Pinkham Notch, where the foliage is fading to brown, rather than orange and red, with the yellow of the birches now the brightest color on the mountains. 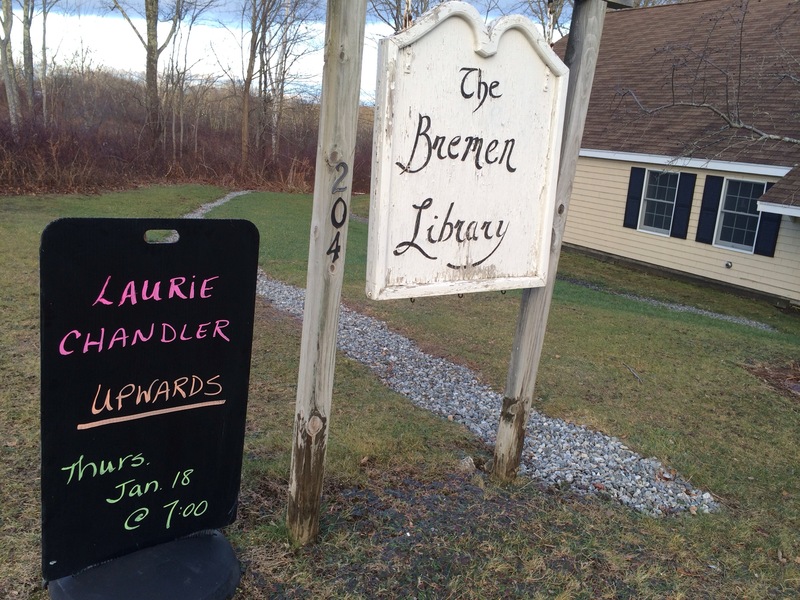 In Errol, NH, I stopped in unannounced at L.L. Cote, a large outdoor supply store, and was warmly welcomed. 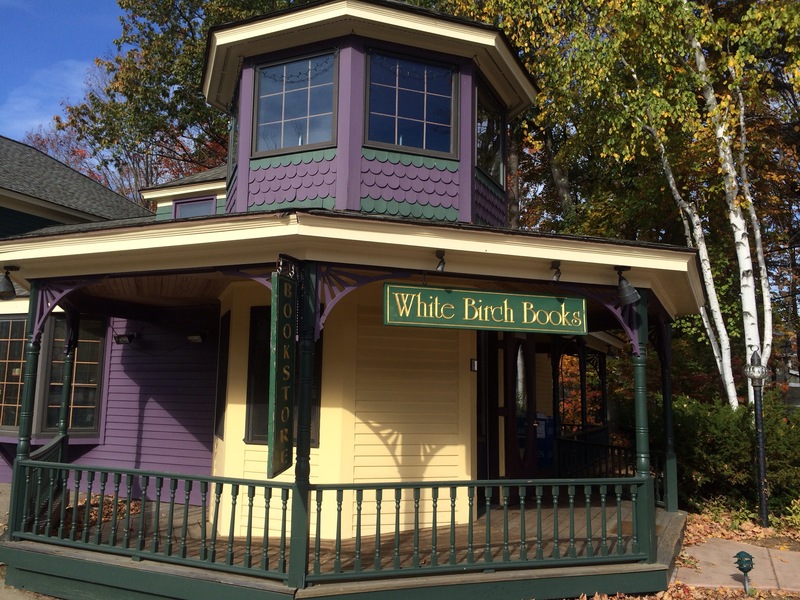 They took and paid for six books, my first sales outlet in New Hampshire! 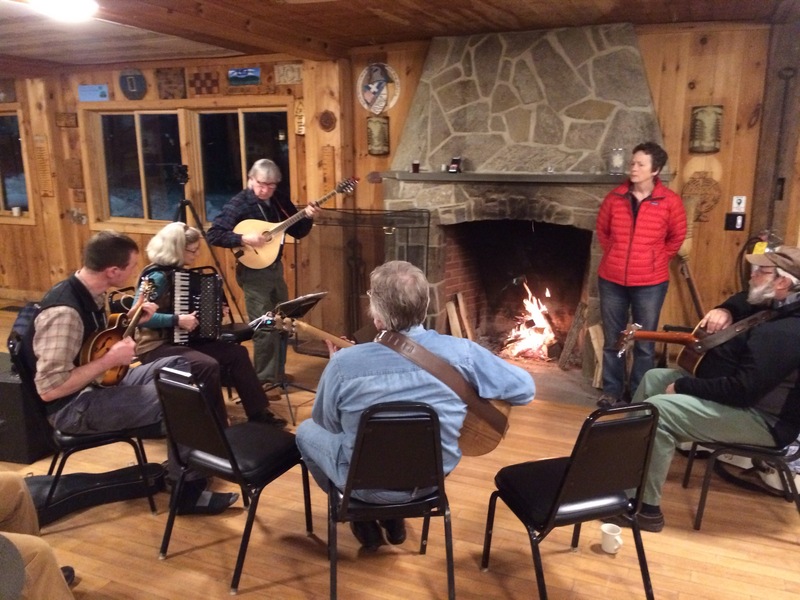 Then on to Rangeley, to drop off books at Ecopelagicon, where I proposed a book signing during the Logging Festival next July. I will close with Amazon news. This morning I set up my Amazon Author Central Page and discovered that we are #240,887 in sales among 8 million books, after 4 days. There is nowhere to go but upwards!